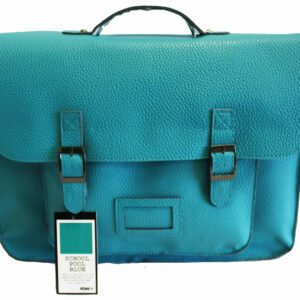 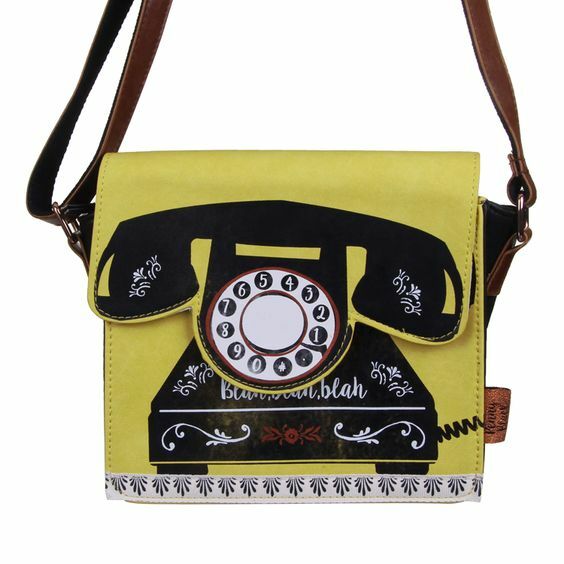 ‘Blah…blah…blah’….very cute handbag from the Penny Black range by Disaster Designs. 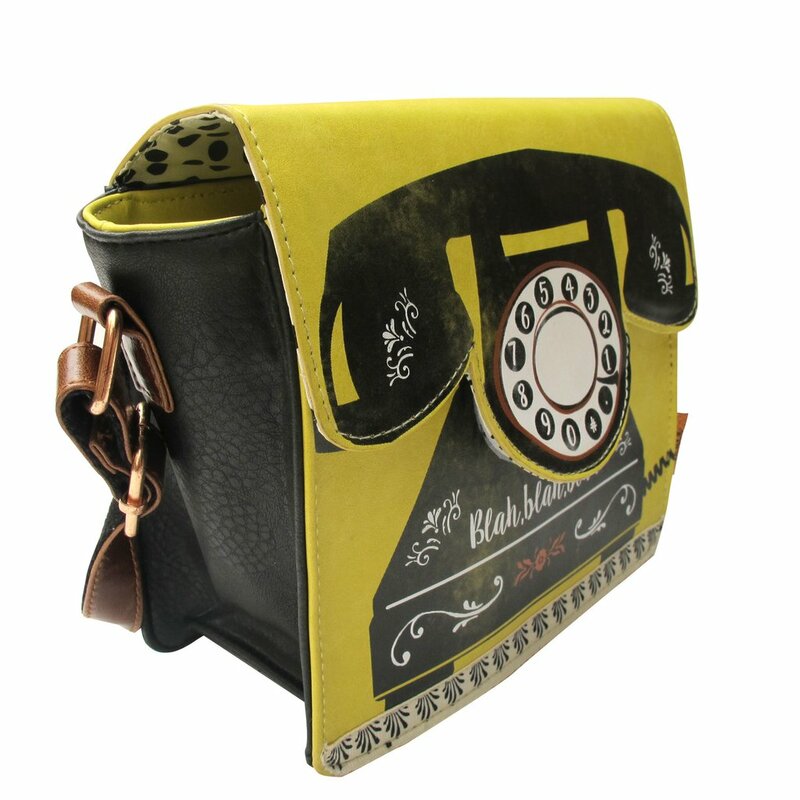 PVC coated canvas bag depicts an old style telephone and the words “Blah, blah, blah”. 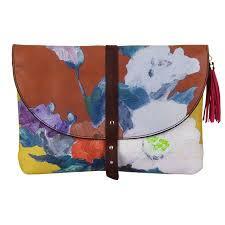 Features printed ribbon trim, copper colour adjustable shoulder strap and a magnetic closure. 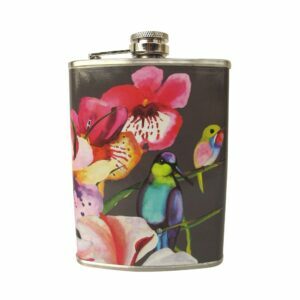 Inside features black and white printed lining, a zipped pocket and a cell phone compartment .